It is normal to find exams and assessments stressful. 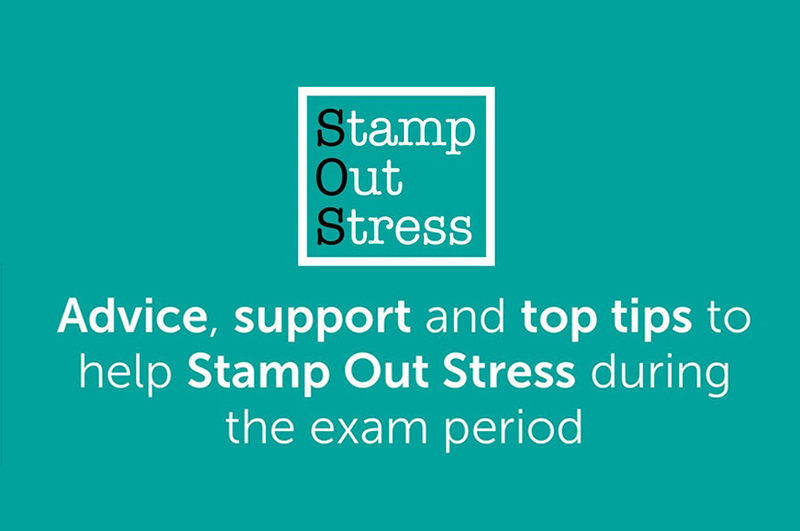 The Stamp Out Stress campaign is here to help you prepare for and manage your exams and assessments! Stamp Out Stress kicked off at the start of term and is running till 8 June 2018. It’s a collaborative campaign run by NTSU, Student Support Services, NTU Library and NTU Sport. Take control - make a plan of what to study, how to study and when. Preparation is key and can make all the difference. Take a break and relax – make time to have some fun. It will energise you and help you become more focused. Take some exercise and remember to eat healthily and stay hydrated. Make time to talk, contact your friends and those that care about you. Sometimes, a nice cup of tea and a chat can make a world of difference. Take credit for the hard work you're doing, be proud and don't forget about all the great things you have going on. Keep positive…you can do this! For more top tips and to view the timetable of events visit the Stamp Out Stress web pages.